The East Bay Alliance for a Sustainable Economy (EBASE) is a collaboration of labor, community, and faith-based organizations in the San Francisco East Bay (Alameda and Contra Costa Counties). 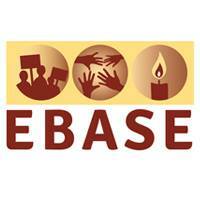 EBASE advances economic, racial, and social justice by building a just economy in the East Bay based on good jobs and healthy communities. We address the root causes of economic injustice by developing strategic alliances among community, labor, and people of faith to build power and create change with low-income workers and communities of color. EBASE, Alliance of Californians for Community Empowerment, and the Center for Popular Democracy’s report showing how workers lack full-time predictable hours in Emeryville’s retail and fast food sectors.